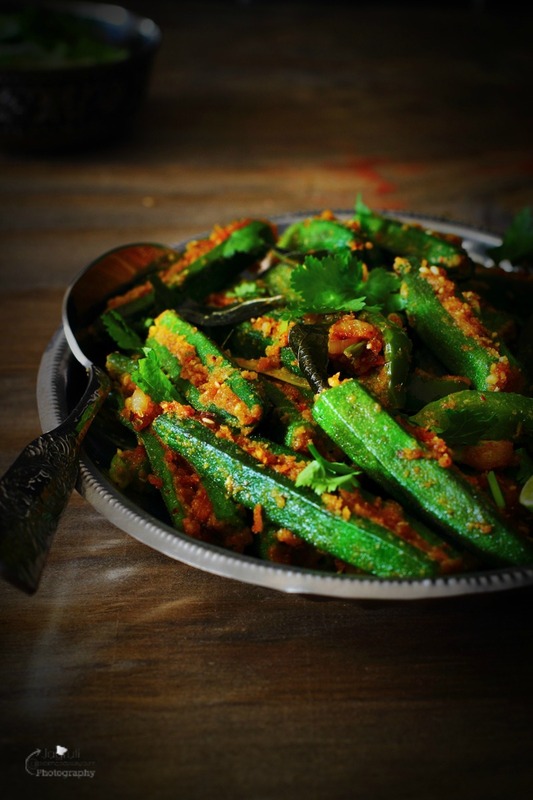 Bhinda, Mirch Sambhariya is a delicious and enticing sabji. 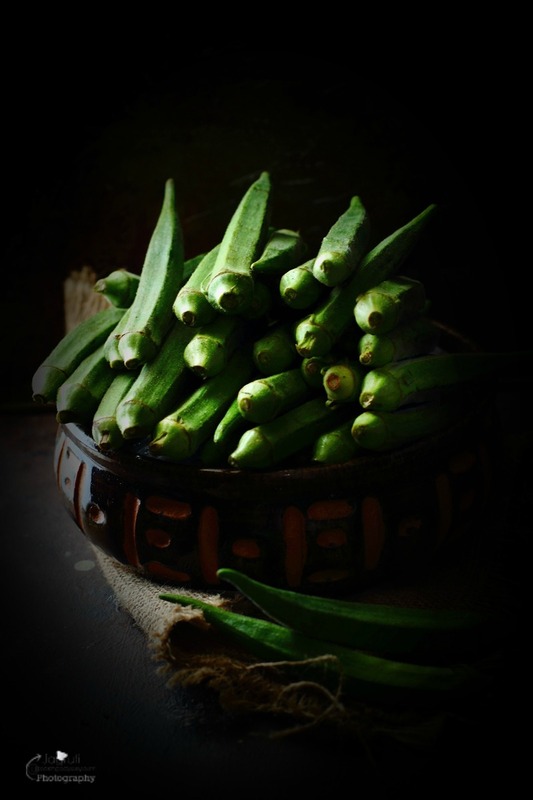 Fresh and tender okra are stuffed with an elaborate Gujarati style aromatic masala and cooked with capsicum and spring onion. It's so delicious, surely you will fall for this one, even if you are not on very good terms with okra. 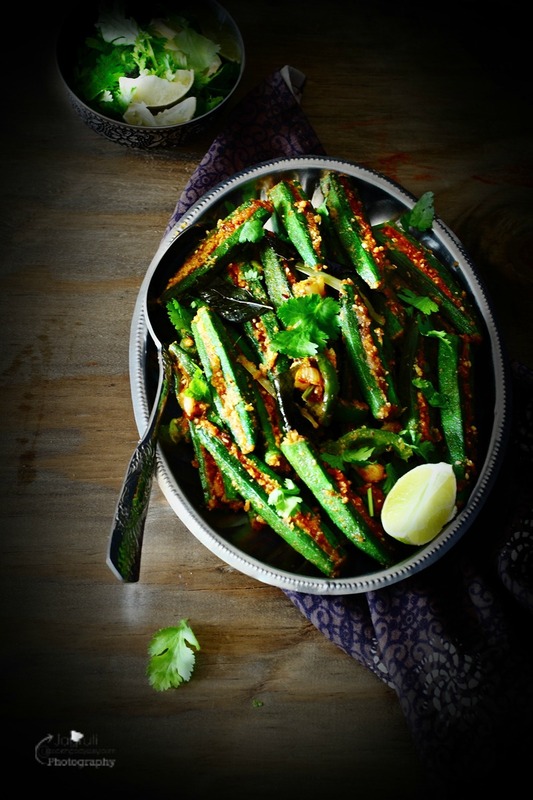 Today's post is going to be short and sweet, without any further ado let's straight to the recipe of this flavourful Okra Sabji, which is a firm favourite amongst my family. Generally, Gujarati style Bhinda sambhariya is made without onion and garlic, but in this recipe, I've added garlic, onion, and green capsicum for extra flavours and crunch. 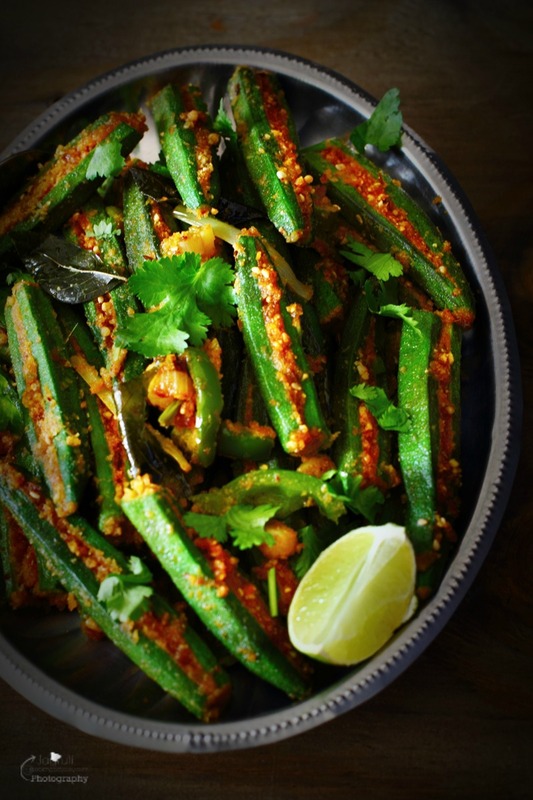 This recipe is with little variation of my previously posted stuffed okra with coconut and coriander as I always love to add extra vegetables in our diet. This Bhinda, Mirch Sambhariya , is perfectly accompanied with Gujarati daal, steaming plain rice and phulka for one satisfying meal. Oh and if you are already crazy for okra, and looking for variation in making this vegetable, you must try my Okra, Spring Onion and Fresh Garlic Kadhi. Delicious Stuffed okra sabji, prepared with Gujarati style stuffing and cooked with capsicum and green onion for extra flavours and crunch. Thoroughly wash and pat dry okra. Cut off the top of the okra and cut into two, slit to open one side. Combine everything in the bowl for the stuffing. Fill the prepared stuffing masala in to slit okra and leave it aside. Heat oil in a kadai, and add mustard and cumin seeds. Once they crackle, add hing. Now add ginger-garlic-chilli paste and curry leaves. Fry few seconds, then add both onions, saute for few minutes or until just translucent. Add capsicum, cook for a couple of minutes. 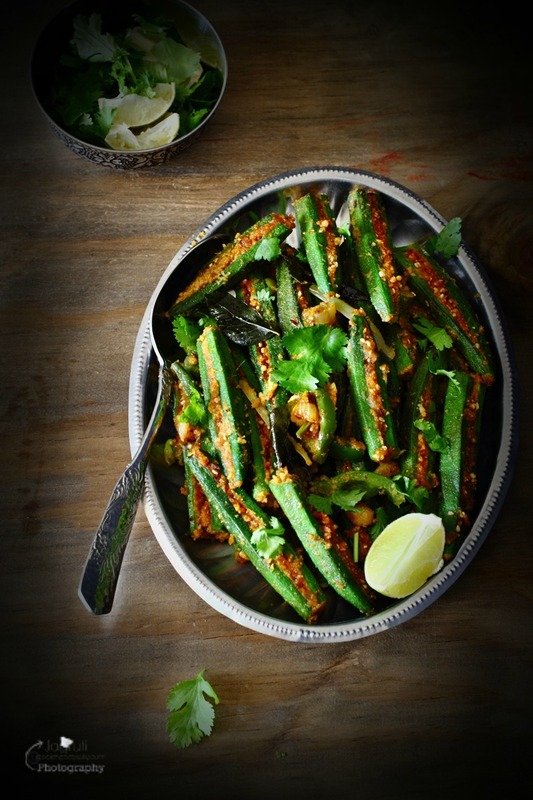 Now arrange stuffed okra into kadai, add a little salt and leftover stuffing. Cook stuffed okra on a medium to low heat without covering the kadai. It will take about 8-10 minutes to cook the okra. In between gently stir the sabji. Once done, switch off the heat and sprinkle freshly chopped coriander. Wow, this looks gorgeous! Beautiful colors and flavors in this dish. I love okra! these cripsy bhindis are so tempting! What a wonderful way to serve okra! I've had okra once or twice and enjoyed it but I know I would love it in this dish! It looks really colourful, fresh and wholesome. I know it is a lot of work to stuff all the okra but you have made it look so worth it. That masala spice looks like it has a robust flavor. I must admit, I have never had okra but your recipe is making me want to change my mind!